The Oshawa Generals capped off the weekend tonight against the Barrie Colts at the Tribute Communities Centre. 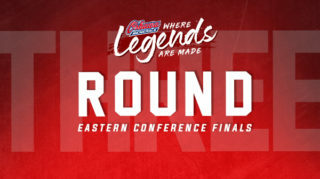 The Gens came into the game with an 8-6-2-0 record after losing in a close contest against the Owen Sound Attack on Friday. The team looked to get back on track at home tonight and take down the Barrie Colts for a big two points. For tonight’s Special Olympics Ontario Game Night ceremonial puck drop, the Gens welcomed the captains from the Greater Durham Special Olympics Durham Falcons softball team, Frazer MacDonald and Jonathan Cerqueira! The team won the highest level gold medal in their sport at the Special Olympics 2018 National Summer Games. The Gens came out of the gate buzzing, with an amazing opening shift that resulted in a goal from Danil Antropov just 21 seconds into the game. The tally came off a rebound from Serron Noel’s shot that Antropov potted in the back of the net. After the goal, the Colts took two penalties a minute after the other to give the Gens a 5-on-3. While Oshawa had a few good looks on net, they weren’t able to get one past the Colts on the two-man advantage. Back at even strength, the Gens took a penalty of their own to put them down a man. On the PK, Jack Studnicka had an amazing shorthanded opportunity where he sped past the Barrie defense for a breakaway but was stopped by Colts goaltender Maksim Zhukov. Just before the halfway mark of the period, Barrie took a penalty to give the Gens powerplay another chance. Making the most of the man advantage, Giovanni Vallati took a blast from the point that beat the Colts and put the Gens up 2-0. With six minutes left in the period, the Colts ramped up the pressure for a shift and got a quality chance on net that was robbed by Gens goalie Kyle Keyser. 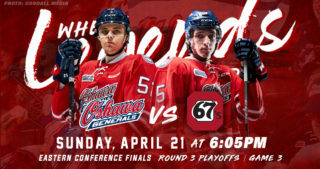 Oshawa got another powerplay with just over four minutes left that they were once again able to capitalize on, with Nando Eggenberger tipping a point shot from Vallati down into the net. The Gens carried their 3-0 lead into the first intermission after a dominant period that saw them outshoot the Colts 16-4. 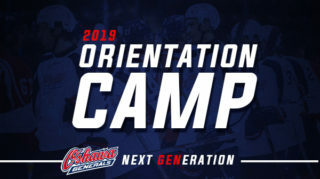 The Gens picked up right where they left off to start the second, with Eric Henderson potting a one timer off a pass from Kyle MacLean to extend Oshawa’s lead to 4-0. Shortly after the goal, the Gens took back-to-back penalties to put them down two men. 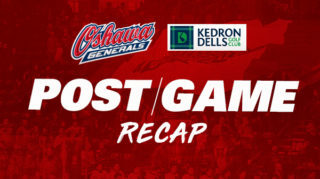 With an incredible PK effort that saw a few amazing saves from Keyser, the Gens killed off the penalties and returned to even strength with their four-goal lead. At the halfway mark of the period, Colts forward Ryan Suzuki was sprung on a breakaway that Keyser stopped with a huge save to keep Barrie off the board. A few minutes later, a bout of pressure from the Colts resulted in Keyser making a flurry of saves, continuing to shut down Barrie’s offense. To finish off an amazing period for Keyser, he robbed Suzuki again off a shot from the slot with just a few minutes left in the second. 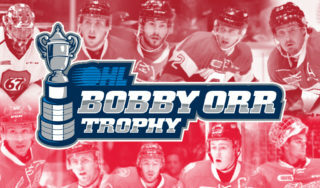 The Gens held their commanding 4-0 lead heading into the final period of the game. The Gens opened the period on a powerplay from a Barrie penalty for roughing at the end of the second. With a few good chances, the Gens powerplay was held off the board to keep the score at 4-0. At even strength, Studnicka went on an amazing rush off a burst of speed that saw him rip a shot off the crossbar, coming close to extending the lead. At just under thirteen minutes into the game, Keyser came up with another great stretch that kept the puck out of the net on a scramble around the Gens crease. Just before the halfway point in the period, the Gens took an interference penalty that they killed off with another great PK effort. Throughout the latter half of the third, Keyser continued his strong play as he kept Barrie of the scoreboard with some great saves. Under five minutes left in the game, things started to get rough with a scrum in the Colts end and a fight breaking out between Nando Eggenberger and Ben Hawerchuk. The play resulted in a misconduct for Barrie and a five-minute Gens powerplay lasting until the end of the game. The Colts took another penalty with just under two minutes left in the game to give Oshawa a 5-on-3 advantage. While they didn’t add to the lead on the powerplay, the Gens finished off the game with a huge 4-0 win and an amazing shutout for Kyle Keyser. 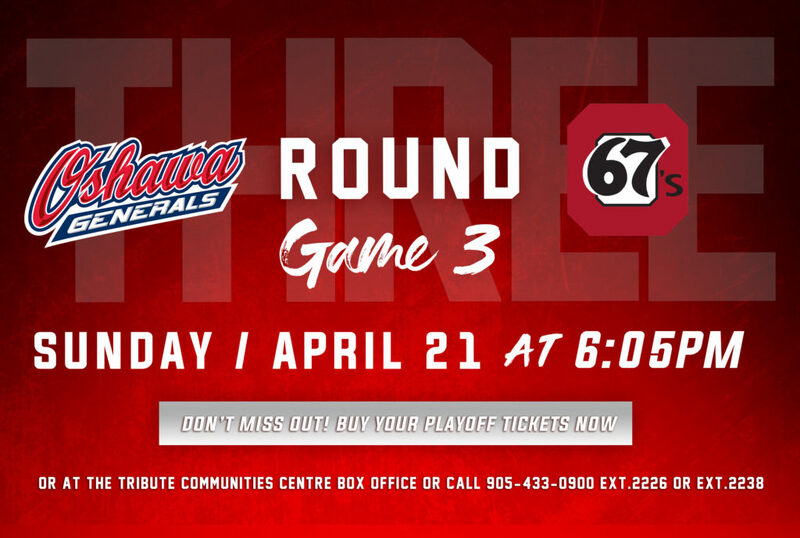 With a big 4-0 win against the Colts tonight, the Gens will look to carry their momentum into next weekend as the team takes on the Ottawa 67’s at home on Friday and the Kingston Frontenacs on the road on Saturday.